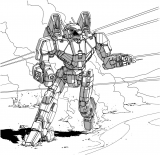 This is the Funding thread for New Production Molds for 25mm Mechwarrior Minis and it needs $1000.00 to be Funded. Current Funding amount is $1000.00 and is funded. 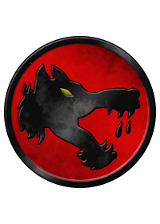 The funding will be going towards 15 new production molds for the 40 OOP 25mm Mechwarrior minis, we would be doing 3 molds per faction group. So two molds will have 3 models in and the third will have 2 models in. If this is successfully funded these minis will be available individually through IWM online store as a Online Exclusive similar to the old Battletroop figures that are still available. Please see the quote from Cazaril post with image of all 40 of the figures and grouped by faction. 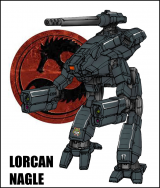 Like many others, I regret not having purchased the 25mm Mechwarrior figures in the past. For those who don't even know what they all look like, here are some pictures (sorry they aren't the greatest, but they aren't completely horrible either ). I believe it is complete (minus the Elemental which I believe is still for sale).. They come from Ral Partha's 1992 catalog. And while I'm at it... What is the latest on seeing them come back? 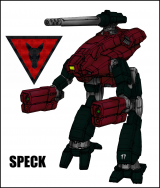 Speck, what are the chances of seeing some of the stuff from the BattleTroops boxset as well? I am willing to put forward $200 for this. Oh! I didn't know they were already archived. Well, guess I know what I am getting with my order of hex bases. Thanks, Speck! It's 2019. Use the money to produce miniatures who could challenge other modern miniature ranges. But uhhh everything for the 10-100 40-50+ year old fanboys from back in the days. Show it to the Millenials and they will laugh hard and are right to do so. There have been many people asking to have these 40 figures available again. That is way this is happening. If you do not want them that is fine. 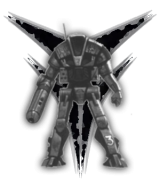 New Mechwarrior figures would be great to do, but humanoid figure are still expensive to sculpt. We might get 1 or 3 for the cost of having new molds for these 40 OOP figures done. A joke to you. As a millennial, at (almost) 34 years old, I disagree with your statement. I own a Kurita BattleTroops set and they look great. I might toss in some money at this. So we need another 300, right? I'll be down for $50. Those who have no concept of production cost or monetary value would do so. Those of us who do are smiling at the opportunity presented to us. $50 is left right now. 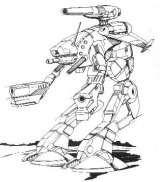 Re: Fan Funding 2019 - New Production Molds for 25mm Mechwarrior Minis - Funded!! I will try to get PM’s out tonight if I get home early enough. Otherwise it will happen tomorrow after work. So far all the millennial Battletech fans I know are cool with them. And seems like those here are as well. Speck, thank you for getting this done! Well that was fast. Well done everyone. It will be awesome to have these available again. Hey Speck, what do you think the timeline would be for these to be out in production? It would be neat to see them in time for GenCon even though I wouldn't be going. Can’t give any timeline right now. Going to get PM out tonight to start process of collecting the money. Once collect I can let Mike know it’s good to start fitting the work in. PM messages have been sent out. Just have a few people left to get payment from and then I can give Mike the green light. Stay tuned. I'll be able to pay on Tuesday.